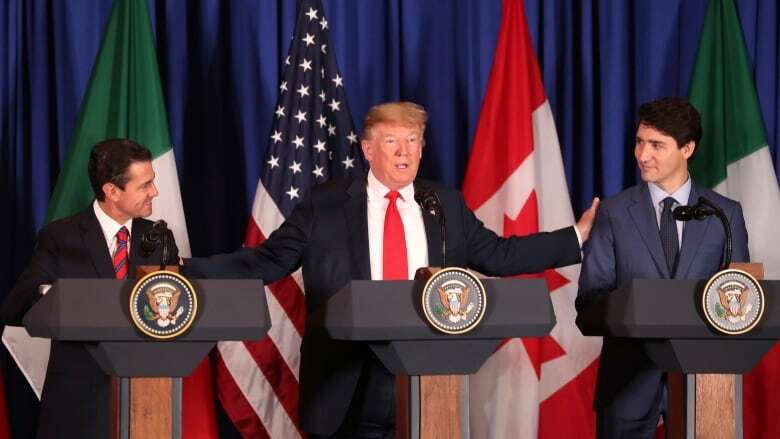 The road to rewrite the North American trade agreement was a "battle," U.S. President Donald Trump said Friday as Prime Minister Justin Trudeau and Mexican President Enrique Pena Nieto joined him for a USMCA signing ceremony on the sidelines of the G20 summit in Argentina. 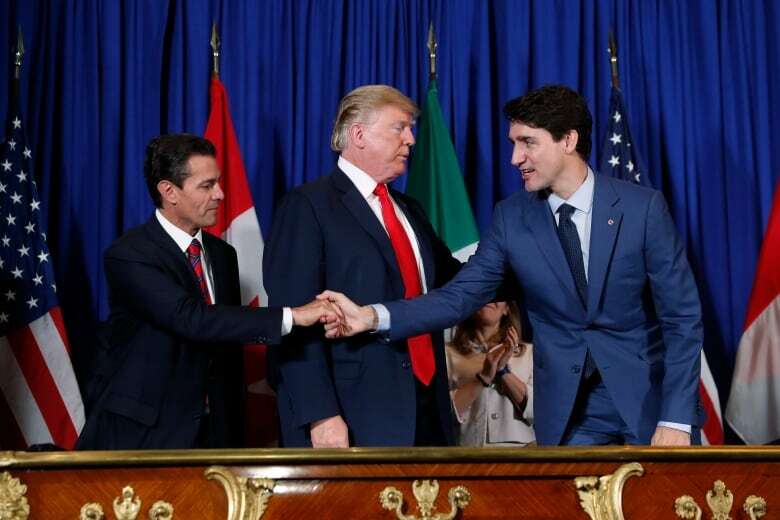 The road to rewrite the North American trade agreement was a "battle," U.S. President Donald Trump said Friday as Prime Minister Justin Trudeau and Mexican President Enrique Pena Nieto joined him for a signing ceremony on the sidelines of the G20 summit in Buenos Aires. Nevertheless, "battles sometimes make great friendships, so it's really terrific," Trump said as the other two leaders looked on uneasily from behind podiums with the American presidential seal on the front. 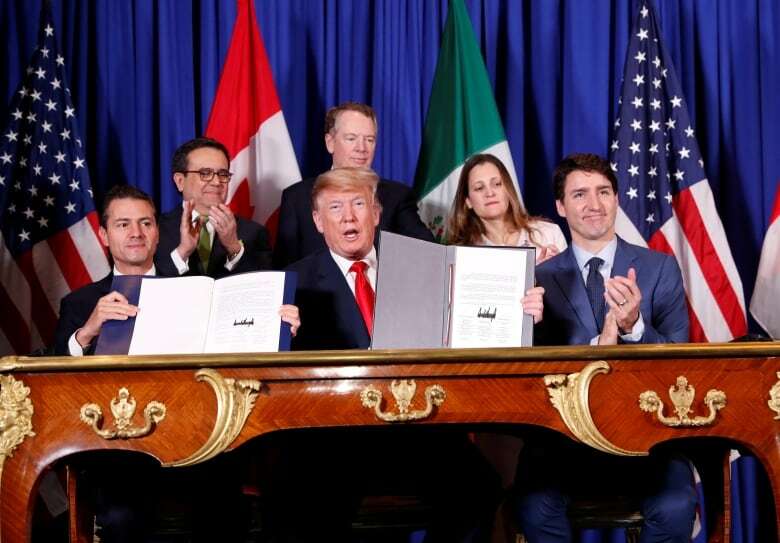 Official text for the deal Trump has named the United States–Mexico–Canada Agreement (USMCA) has now been signed by all three countries. Canada will change the order of the countries in its legal version of the name, putting Canada first (CUSMA). Trudeau referred to the deal Friday morning as the "new NAFTA." Trump felt strongly about changing the agreement's name when his administration reworked the deal. He continued to refer to NAFTA as "terrible" on social media after the signing ceremony, saying "it will soon be gone." At the signing ceremony, Trudeau said the deal's completion lifts the economic uncertainty created by the acrimonious 15-month negotiation process, an uncertainty that "only would have gotten worse" had the parties not reached a new agreement. Both Trump and Trudeau noted the deal was signed on Pena Nieto's final day in office, and thanked him for his work. A new Mexican president was elected last summer and will be sworn in Saturday. Foreign Affairs Minister Chrystia Freeland told reporters after the ceremony that the deal was the result of government acting with resolve against the threat of losing roughly $2 billion in trade per day through NAFTA's cancellation — a threat Trump made more than once during the process. She thanked Canadians for their support during "what has been, at times, a difficult process." The signing followed days of speculation over whether Canada would sign the deal at all, and over whether it might be signed by an official more junior than the prime minister. On the one hand, the Trudeau government wanted to register its displeasure at signing a free trade deal while billions of dollars worth of tariffs remain on goods being traded between the U.S., Canada and Mexico. Those tariffs began with U.S. action against imported steel and aluminum, using national security as a justification under an obscure 1962 law. Canada and Mexico retaliated with tariffs against equivalent amounts of U.S. metals and other goods. All those tariffs remain in place — much to the displeasure of both Canadian and Mexican governments. In his remarks at the ceremony, Trudeau called the General Motors plant closures announced Monday "a heavy blow" to both Canadian and American workers, and said Canada would fight for them and their communities. "Donald, it's all the more reason why we need to keep working to remove the tariffs on steel and aluminum between our countries," Trudeau said. Trump gave a slight nod but otherwise stared straight ahead. USTR Robert Lighthizer is holding an off camera press briefing, and he says steel and aluminum tariffs remain in place. Says there are negotiations but ultimately want to protect Trump’s steel and aluminum programs they see as successful. U.S. Trade Representative Robert Lighthizer told reporters after the ceremony that the U.S. believes its tariff protections have been successful — even in the face of World Trade Organization challenges from Canada and others over its use of "national security" provisions to prop up sometimes less-competitive domestic industries. Freeland was asked about the Americans continuing to claim their tariffs are legitimate. "Canada disagrees with that point of view," the minister said. Conservative Leader Andrew Scheer, campaigning in a by-election on behalf of his candidate in Kemptville, Ont., said Trudeau's decision to participate in the ceremony while tariffs are still in place is "one more final humiliation." "It's clear he capitulated. He signed concession after concession after concession," Scheer said. "The Americans are counting their victories in what they got from Canada and Trudeau is counting his victories in what he didn't have to give away." Scheer criticized the "unprecedented" measures Canada agreed to — limiting the dairy sector's ability not just to sell to the U.S. or Mexico, but to other countries as well, so American farmers can serve that market instead. During question period in the House of Commons Friday, New Democrats also accused Trudeau of surrendering Canada's sovereignty and kneeling before Donald Trump. National dairy organizations wrote Trudeau Thursday and urged him not to sign. When the Americans posted the text of the agreement online two months ago, it included dairy concessions that Canadian negotiators told industry representatives they never approved at the table. The Canadian government posted its official legal text Friday in both languages. The agriculture chapter was rewritten somewhat during the legal vetting process — but that doesn't appear to have alleviated the industry's fear that the U.S. strong-armed its way to getting more than Canada intended to give up. Canadian officials in the room Friday characterized their mood as more of relief than celebration, and said their team was disappointed that the steel and aluminum tariffs have not been lifted. In the end, the ceremony was brief: short remarks from all three leaders before they sat together at the table and signed. The audience then rose to leave, obscuring the view of each country's responsible ministers as they continued to sign other documents related to the agreement. They include a critical side letter on the automotive sector that could ensure Canada avoids punitive tariffs on its car exports to the U.S. if the Trump administration proceeds with threats to begin taxing foreign vehicles and automotive parts at up to 25 per cent. Pena Nieto has sold the deal to his people as a victory for Mexico, saving free trade from a U.S. president who wanted to kill it. On Saturday, he will be replaced by Andres Manuel Lopez Obrador —​ known as AMLO, for short — a left-wing politician who has often questioned the value of the original NAFTA and international trade generally. Nevertheless, the incoming Mexican administration has said it will not stand in the way of the agreement negotiated by its predecessor. Lopez Obrador had a representative in the room through the final, tense weeks of the negotiations. Difficult ratification expected in U.S. The agreement now proceeds to ratification in each country. In Canada, implementation legislation will be drafted for Parliament; after it is reviewed, debated and passed, the federal cabinet will ratify the treaty. Mexican legislators will also vote on the deal, but they're expected to approve it. The situation is far less certain in the U.S., where an acrimonious debate is expected thanks to a Trump-unfriendly Democratic majority in the House of Representatives, elected in November's midterms. Even in the U.S. Senate, the final vote may be close. Some Republican senators have been critical of Trump's trade policies, while prominent Democrats — including potential presidential candidate Elizabeth Warren — have said they cannot vote for the agreement as it stands. 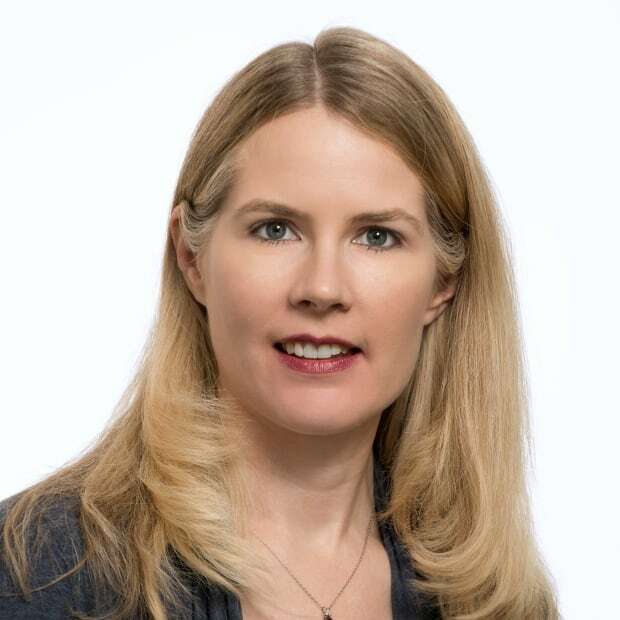 Under the rules set for fast-tracking trade agreements through Congress, however, changes to the agreement are not supposed to be made now that a legally scrubbed text has been signed by all three countries. Lighthizer said Friday that the Americans have negotiated what they believe is a "bipartisan agreement," designed to win more than enough votes to pass.